Finding functional, but beautiful lighting as part of the interior design scheme for a chalet can be a challenge. 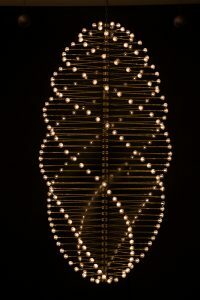 So it’s exciting to discover a kinetic light sculpture, designed by renowned kinetic sculptor Ivan Black. We speak to Kate Blackwell of Ink Lighting to find out more. How did INK begin? What was the inspiration? When we moved to Wales nearly a decade ago, leaving London for life by the sea, we wanted to build a creative business rooted in Pembrokeshire, but for the broader world. After moving, we became friends with another family of city escapees, Lucy and Ivan Black, who were both artists. Ivan was, and is, a renowned kinetic sculptor who has been making his art for nearly two decades. His work is in collections all over the world, and has its foundation in many of the mathematical patterns in nature. INK Lighting was born when we saw one of Ivan’s commissions, which combined a kinetic sculpture with light. I remember the first time I saw it so vividly, it was incredibly hypnotic, one of the most beautiful things I had ever seen. What was interesting was that through the addition of light, the kinetic sculpture went from being purely aesthetic to having a practical function, namely to illuminate a room. We figured that not every room needs a kinetic sculpture, but every room needs light. So why not make that light a piece of art? That was basically the idea that seeded the business – to combine kinetic sculpture with light and make it available to the world. How do you find the perfect balance between the design of the kinetic light sculpture and the more practical elements of lighting? A kinetic light sculpture is actually incredibly practical, and you could argue that it is much more usable than a ‘normal’ light or chandelier. There are two methods of controlling a kinetic light sculpture – either through a smartphone app, or through a ‘gesture control’ system. Both methods allow the brightness, speed, direction and pattern of rotation to be manipulated, by a finger swipe on a screen (using the app) or a simple arm movement (gesture control). You can of course leave the kinetic light sculpture static, and simply turn it on and off at the wall as well, like a traditional light. Lighting technology has come on leaps and bounds in recent years, and the scope of what is possible is expanding every day. Coupled with advances in gesture control technology, and the pure mechanical beauty of the light sculptures, the possibilities we can explore are endless. 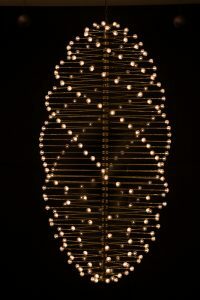 We have standard sizes for the kinetic light sculptures, but we also tackle bespoke commissions. As such, if someone has a particular space they need to fill, or a particular colour scheme into which it needs to integrate, this is all easily do-able. The collaboration with Seeper is amazing. Interacting with an artwork in this way is something we have never experienced – how did this collaboration come about? When we launched INK last year, we were looking for suitable places to showcase the sculptures. We approached a company called ideaworks, who specialise in high-end connected home technology and electronics for super yachts. My business partner Ivan had originally bumped into them whilst installing a sculpture at one of his clients, and given what we were trying to do with interactivity, we felt ideaworks’ London showcase centre would be a good home for our sculptures. Interactivity was hugely important to us, because we didn’t want the sculptures to be distant and remote like museum pieces. Art usually comes with a ‘do not touch’ sign, so we wanted to break that barrier by empowering people to essentially ‘conduct’ what the sculptures do. And it’s fun too. It was through ideaworks that we were introduced to Seeper, who specialise in interactive light shows. Once we saw what they were able to do with gesture control, it was a no-brainer to work with them. Their technology really took the interactive elements of the light sculptures to the next level. What do you think makes a chalet or mountain home the ideal setting for these kinetic light sculptures? There’s a practical answer and a slightly more romantic answer… I prefer the romantic one but will start with the practical one. The vaulted spaces that you often find in chalets or alpine architecture suit ‘showpiece’ chandeliers or sculptures. In many chalets you will find a double height room or an apex in which our kinetic light sculptures sit perfectly. We can and do make the sculptures bespoke, but fundamentally the larger designs work in chalets because of the space available. There is also something romantic about looking up at the kinetic light sculpture. They are evocative of celestial formations when they are in their ‘jumbled’ state. I associate the crisp, clear night skies that you often get in the mountains with stargazing. We used to lie outside (well wrapped up, with a hot chocolate) and look for shooting stars at night. For me, our sculptures evoke that same sense of wonder when you stare up at the stars and wonder how the universe works. 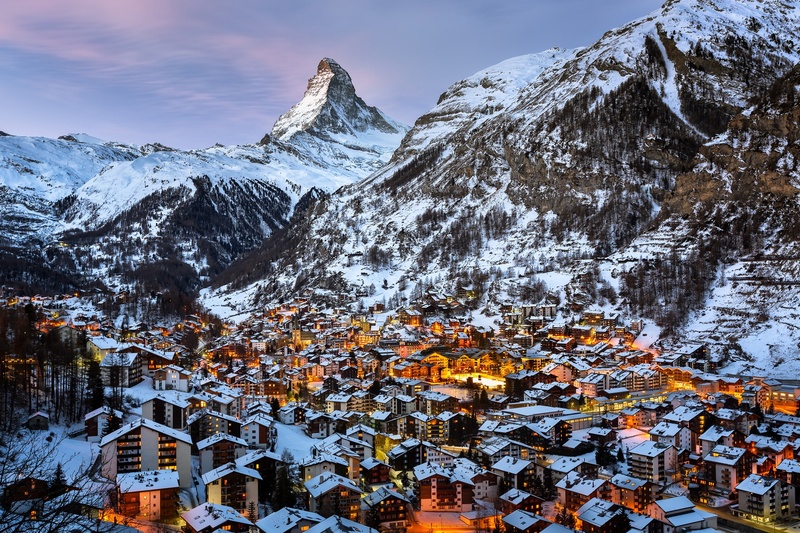 Do you have a favourite ski resort? Or a favourite ski property? Favourite ski resort is a really tough one, because there are so many great places we’ve been to. I did my first proper season in Courchevel, which has some incredible pistes and is great for high speed groomer runs (and Michelin star meals too!). We have had a home in Morzine for 10 years. I love the variety of terrain you can access across the Portes du Soleil. After 10 winters (and having lived in Morzine all winter 2016/17) we are still nowhere near discovering it all. Two years ago we had an amazing winter traveling across the US, visiting 8 different ski resorts. My favourite ski town is probably Breckenridge. It has amazing terrain parks and the snow is so light, so perfect. The town has retained its frontier-era charm too, with fantastic bars and restaurants – and a great local brewery. But my absolute best resort remains Whistler Blackcomb. It has all the elements I love – vast terrain, lots of deep snow, a real “high performance” atmosphere where people are really pushing their limits all over the mountain, and great apres as well. But above all the locals were amazing, just the friendliest people you could ever hope to meet. We lived there for 6 months back in 2002/3 and it remains one of the best times of my life. If you were creating your dream chalet – what are some interior design must-haves? Great question. First, lots of natural materials. I think chalets, more than any other type of property, really need to reflect their environment. Morzine was a slate mining town originally, and is of course surrounded by forests. Bringing those materials into the local buildings gives them real integrity. Natural materials are more practical as chalets get beaten up pretty badly. Having materials that look better with age, and can withstand wear and tear makes sense. Chalets also need a touch of luxury and excitement. After all they are often ‘dream’ homes for their owners. The juxtaposition of rugged natural materials (wood, stone, slate) with the glamour of one of a kinetic light sculpture (for example!) works incredibly well. You obviously need a roaring log fire, big comfy sofas to rest tired limbs, and a long table for dinners with friends and family. If you get those basics right, you can’t go too far wrong. A swimming pool, rotating dancefloor and a corkscrew slide (instead of stairs) would probably be on my kids wish list. The Nebula range of kinetic light sculptures is stunning – what’s next for INKlighting? Everything we do will have a kinetic element to it. Our next piece will probably be at the other end of the aesthetic spectrum. We are developing an off-axis hanging cube, made up of horizontal metallic layers, with the edges lit using OLEDs. It will basically look like something from the movie Tron. Slices of angular light. It’s the Yin to Nebula’s Yang. We are also looking to make floor-standing pieces and smaller sculptures that could work as table lamps. 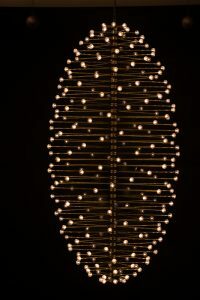 There is a very deep ‘back catalogue’ of Ivan’s sculptures to adapt into lights, so lots more room for innovation. Commissions are always exciting, working with new ideas and different with clients to create something unique. That collaboration always creates an amazing result, and gives our clients the chance to be part of the creative process. I N K – Nebula – www.inklighting.com from Ink lighting on Vimeo.